Harkila PH (Professional Hunter) Short Gaiters. PH Range short gaiters are designed to protect your feet and lower legs against thorns and other things falling into the top of your boots. They have an elasticated top edge and are patina-washed like the rest of the range. The PH Range gaiters are part of the hard-wearing PH Range. 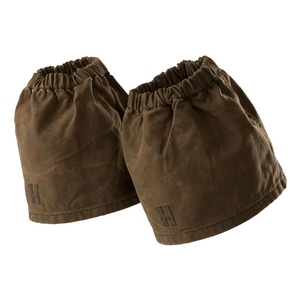 The PH Range comprises sturdy hunting gear for hot weather, inspired by Africa’s professional hunting guides, the PHs. The special coloring of the PH Range adds some unique details to each product.